The Polar Express: 8 out of 10. I just sat down with the kids and watched "The Polar Express". I loved it. Of course, I'm a sucker for that "I believe!" stuff. This DVD had been floating around the house for about a year but I only got the motivation to watch it this afternoon. I'm glad I did, it looks great and gives you that nice Christmasy feeling inside. 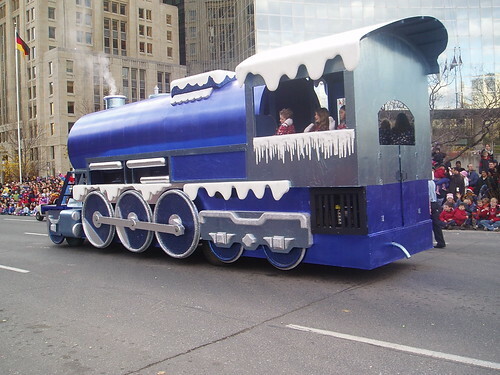 It also gives me an excuse to share this photo I snapped at the 2004 Santa Claus Parade.